Psychologist Raymond Cattell is best known for his 16-factor personality model, developing the concept of fluid versus crystallized intelligence, and working with factor and multivariate analysis. Raymond Cattell was born on March 20, 1905, in a small town in England. He developed an interest in science early on in life and went on to become the first person from his family to attend college, earning his BS in chemistry from the Kings College when he was just 19. After witnessing the devastation of World War I, Cattell developed an interest in using science to solve human problems. He was also influenced by other thinkers of the time including George Bernard Shaw, Aldous Huxley, and H. G. Wells. He earned his Ph.D. in psychology from University College in London in 1929. After teaching for a few years at Exeter University, Cattell was invited to teach at Columbia University by pioneering psychologist Edward Thorndike. In 1938, he became a professor at Clark University, and in 1941, he moved to Harvard after being invited by Gordon Allport. In 1945, Cattell took a position at the University of Illinois where he established a research department. At the time, the school was developing a pioneering computer that allowed Cattell to conduct factor analysis on a much larger scale than was previously possible. In 1973, Cattell retired from the University of Illinois and eventually settled in Hawaii, where he continued to teach, write, and enjoy his life-long passion for sailing. He died February 2, 1998. In addition to his research in personality, motivation, and intelligence, Cattell's work with multivariate analysis left a lasting mark on psychology. While earlier research in psychology had focused on studying single variables in isolation, Cattell pioneered the use of multivariate analysis that allowed researchers to view individuals as a whole and study aspects of human behavior that could not be studied in a lab setting. Cattell is well-known for his 16 personality factors, in which he and numerous colleagues utilized factor analysis to identify 16 different fundamental components of personality. He subsequently developed the 16PF personality questionnaire, which is still widely used today. Cattell also influenced the work of other psychologists. 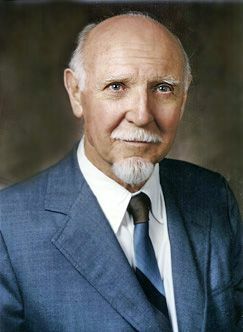 In a review of eminent psychologists, Raymond Cattell's professional writings ranked as the seventh most frequently cited in psychology journals over the past 100 years. Psychologists were also surveyed and asked to name who they felt was the most eminent psychologist of the 20th century. Cattell was ranked at number 16. Cattell RB. The Scientific Use of Factor Analysis in Behavioral and Life Sciences. New York: Plenum; 1978. Cattell RB. Personality and Motivation Structure and Measurement. New York: World Book Company; 1957. Cattell RB. Personality: A Systematic Theoretical and Factual Study. New York: McGraw Hill; 1950. Cattell HEP, Horn J. A Short Biography: Raymond Bernard Cattell. Cattell Family Trust. Published 2015. Harvard Department of Psychology. Raymond Cattell. Indiana University. Raymond B. Cattell. Human Intelligence. Updated December 20, 2016. Haggbloom SJ, Warnick R, Warnick JE, et al. The 100 Most Eminent Psychologists of the 20th Century. Review of General Psychology. 2002;6(2):139-152. What Did Alfred Adler Do for Psychology?